2) Mady be PVC materials, should be phthalate free, low cadmium. 6)Size:any size from 4 years to 12 years. 1. 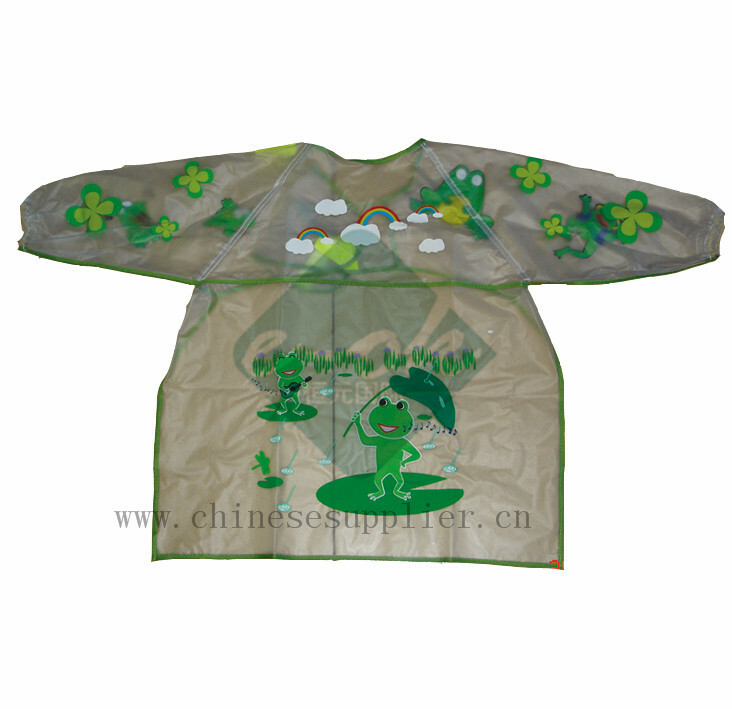 Materials: nylon or polyester with back coating. 2. The children apron with back velcro closser. 3. Elastic cuff of the nylon apron and polyester apron. 4. Your brand and logo should be printing on the front certer of the children apron. 5. White piped for the red child apron. 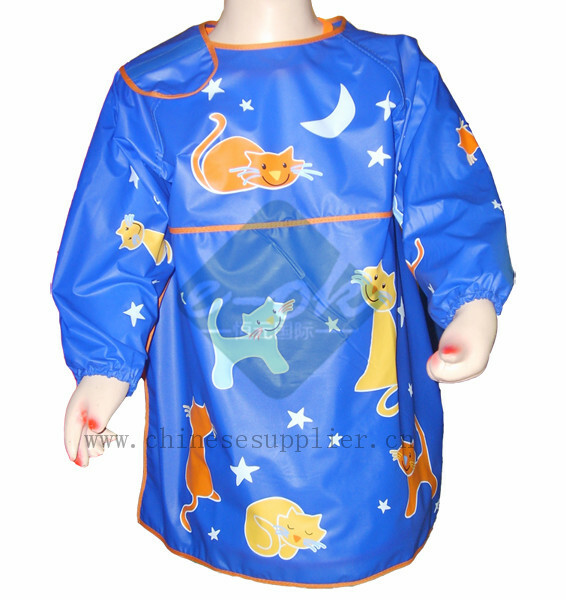 We can supply kids apron, painting apron, eating apron, pvc bib, nylon apron, polyester apron, adult apron in large quantities. 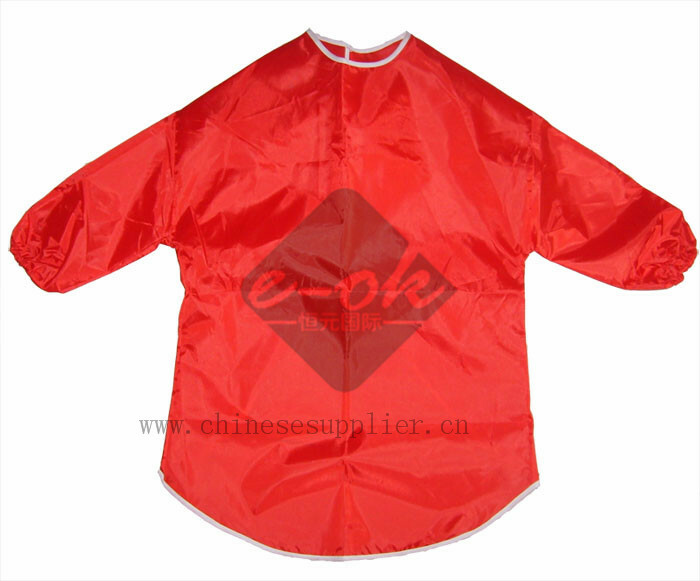 Can produce more than 5000 pcs of aprons per day for you. The PVC apron should be phthalate free, low cadmium, AZO free, and also can be satisfy of the soluble heavy metails test by EN 71-3. 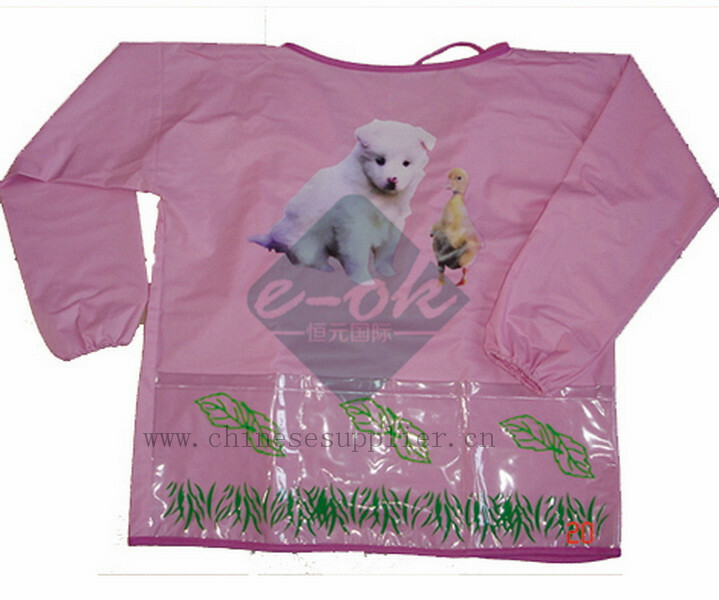 The PVC apron, nylon apron, polyester apron are welcomed used for gift, promotional activity, advertisement.